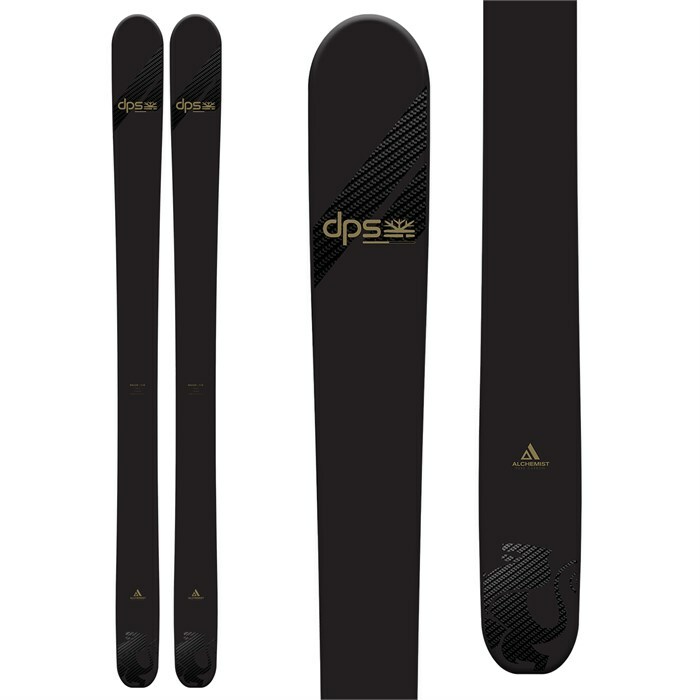 The DPS Wailer 110 Alchemist Pro evo SE Skis aren't just a dream anymore. This new, chargier Wailer builds on an evolution of the Cassiar's C2 chassis to spawn a longer radius (22 meters) ski with more contact length and power in variable snow. If you love the way your Wailer 112s rule in powder but feel slightly under-gunned at speed or when conditions firm up or get funky, the 110 Alchemist Pro is the way of the future. This is the same ski as the Powderworks version, but with a topsheet you'll only find right here at evo. Chassis Design  In ski design, there is a conventional hierarchy of variables that drive the end shape. DPS has re-prioritized and reorganized these drivers so that the design now starts directly under your foot and moves outward to the tip and tail, as opposed to overlaying flex patterns on pre-drawn shapes. The result is an optimized relationship between the flex pattern and sidecut that is perfected through testing, and then mathematically translated across every model in the lineup. The goal is to create a distinct DPS feel that can be sensed in every ski from the Cassiar 82 all the way to the Lotus 124.